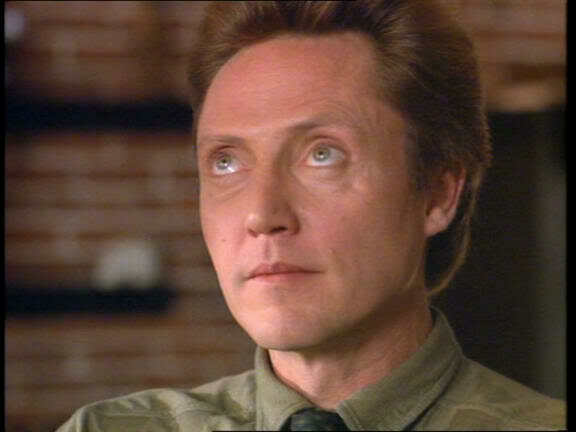 Walken must have heard the phrase “spiritual authority.” I know. I’ve looked this way often. If I asked some of you to name the spiritual authority in your life, what would you say? Would you be confused that I only asked for one and give multiple answers? I ask, because the concept of “spiritual authority” is huge in the evangelical church. You can find whole books on the subject. Unfortunately, most of what they teach is wrong. He appointed twelve that they might be with him and that he might send them out to preach and to have authority to drive out demons (Mark 3:14-15a). He [Jesus] replied, “I saw Satan fall like lightning from heaven. I have given you authority to trample on snakes and scorpions and to overcome all the power of the enemy; nothing will harm you” (Luke 18:19). Then Jesus came to them and said,“All authority in heaven and on earth has been given to me. Therefore go and make disciples of all nations, baptizing them in the name of the Father and of the Son and of the Holy Spirit, and teaching them to obey everything I have commanded you (Matthew 28:18-19). Jesus said to them, “The kings of the Gentiles lord it over them; and those who exercise authority over them call themselves Benefactors. But you are not to be like that. Instead, the greatest among you should be like the youngest, and the one who rules like the one who serves” (Luke 22:25). There is no verse that states or even implies that Christ grants one executive spiritual power over another person’s soul or decisions. None. It may further shock you to learn that, for all the books and articles out there on “spiritual authority,” the phrase itself doesn’t appear in scripture at all. Not in the King James. Not in the NIV. Nada. Oh, and the phrase “spiritual covering?” That’s not in there, either. Just in case you were wondering. True, the Bible does say that Christians should submit to (i.e., serve or cooperate with) governing authorities and church leaders. To governing authorities because God has established them and it is their due as public servants committed to the common good (Romans 13:1-4), obedience doesn’t allow opportunities for others to slander the gospel (1 Peter 2:11-15), and it allows us to live in peace (1 Timothy 2:2). To church leaders, because they are accountable to God for what they teach, and we shouldn’t make things difficult for them by being contentious (Hebrews 13:17). It is interesting to note that every time Paul speaks of the authority of the apostles, it is always in the context of (1) exercising dominion over spirits and (2) correctly instructing others in the gospel. When Paul emphasizes the submission of believers to teachers, it is in reference to the requirement that Christians submit to accurate scriptural instruction. In other words, it’s not the leaders Paul is so focused on obeying; rather, it is what they’re teaching: the Word of God. It is also interesting to note that believers are likewise commanded to submit to each other (Ephesians 5:21). The Bible makes it plain that spiritual authority has absolutely nothing to do with having control or rulership over other people. Yet when many Christian teachers reference “spiritual authority,” they are quick to emphasize church leaders and the Bible’s command to submit to (i.e., obey) them. They conveniently forget to mention that the spiritual authority of Christ refers to power over evil spirits, or that believers can challenge leaders over false teachings, or that the Bible says that God and Christ are our only real authorities. For there is one God, and one mediator between God and men, the man Christ Jesus (1 Timothy 2:5). “But you are not to be called ‘Rabbi,’ for you have one Teacher, and you are all brothers. And do not call anyone on earth ‘father,’ for you have one Father, and he is in heaven. Nor are you to be called instructors, for you have one Instructor, the Messiah. The greatest among you will be your servant. For those who exalt themselves will be humbled, and those who humble themselves will be exalted” (Matthew 23:8-12). All believers wield the same spiritual authority: the one that Christ grants us to spread the gospel and overcome evil. All believers are required to submit to one another and to Christ. Pastors and teachers are responsible not for souls or the decisions made by others, but to remain faithful in teaching God’s Word with humility, honesty and accuracy. Anyone who makes the focus of their ministry submission to their “authority” and following a hierarchy is a false teacher. They are lost. They are twisting the biblical concept of spiritual authority to set themselves up as a governing authority. They are attempting to usurp Christ’s rightful position in the lives of believers. To be a Christian leader is to be a slave to God and the servant of all. This entry was posted in Church, Uncategorized and tagged authority, Christianity, evangelicalism, heresies, leadership, spiritual abuse, spiritual authority, spiritual leadership. Bookmark the permalink. Amen Sister!! Preach it!! I love the truthful explanation in this post. I find it so hard to want to raise my children in an environment of fellowship with other believers, yet am so sick of getting into these types of situations. God/Christ is my governing authority, anyone who tries to claim this role in my life offends me. I love spiritual discipline when it is accurate, yet despise false condemnation as a tactic to control. It leaves me shaking my head and walking away. Woo!!!!!!! Hoo!!!!!!!!! Modern Christian fundamentalist and conservative evangelical preachers are desperate for this extra-Biblical personal authority because they see their whole theological/church bumper car about to spill off the edge of the carnival ride and into the fairgrounds mud. People seek this type of authority when that are shot through with fear and see the little spiritual fantasy world that they have created for themselves crumbling down around their ears. April. Thank you for helping to make those walls crumble. History may remember this as the time in history when God appointed women to rescue the gospel and the church from the failings of its ignorant and dithering “earthly fathers.” More power to them. Great! I understand this very well : ‘Anyone who makes the focus of their ministry submission to their “authority” and following a hierarchy is a false teacher. They are lost.’..is the fertile soil for a cult.